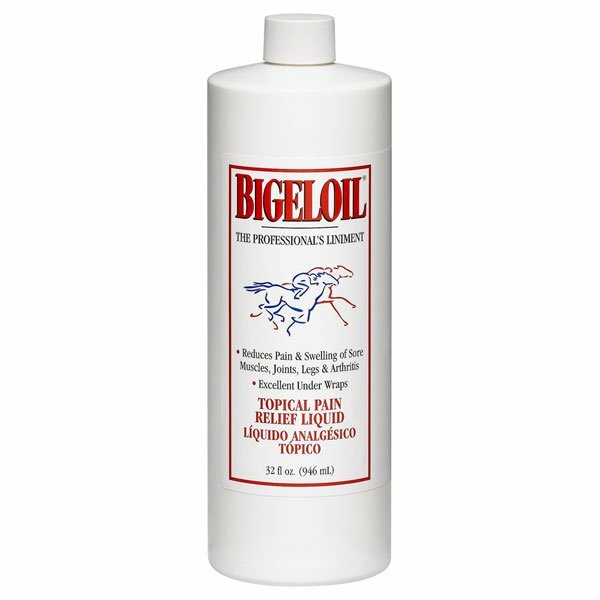 The "Bigeloil" brand name is well known in the horse racing community. Bigeloil is an effective, clean, and invigorating rub that quickly stimulates superficial circulation and reduces soreness resulting from fatigue or strain. Bigeloil -The Professionals Equine Liniment has different options and/or variations, please choose below. The 'Bigeloil' brand name is well known in the racing community. Bigeloil is an effective, clean, and invigorating rub that quickly stimulates superficial circulation and reduces soreness resulting from fatigue or strain. 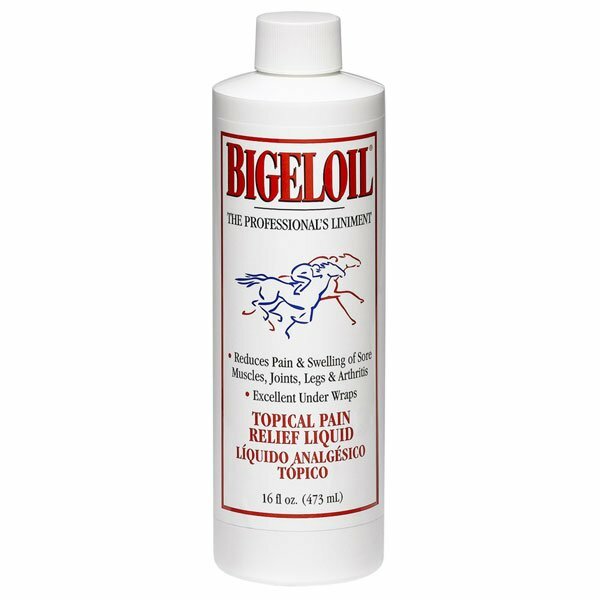 Bigeloil, diluted with water, makes a refreshing brace or body wash when applied to tired, overheated animals after strenuous muscular activity. Bigeloil has a pleasant scent and is an inexpensive external analgesic with antiseptic properties. Made in the usaMenthol 1.25%, Alcohol, Capsicum Tincture, D&c Green #5, Fd&c Yellow #5, Juniper Berry Oil, Methyl Salicylate, Salicylic Acid, Thymol And Water.